Hello everyone! 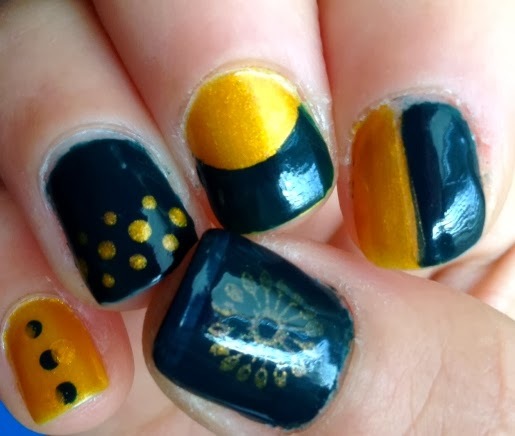 Today I tried my hand at multiple design techniques on various nails. 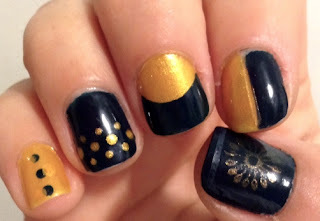 Using Nicole by OPI in Khloe had a little Lam-lam( dark green color) and LA Colors color craze in BCC 570 (yellow gold color). 1. Pinky: small dotting tool 3 down middle using dark green color. 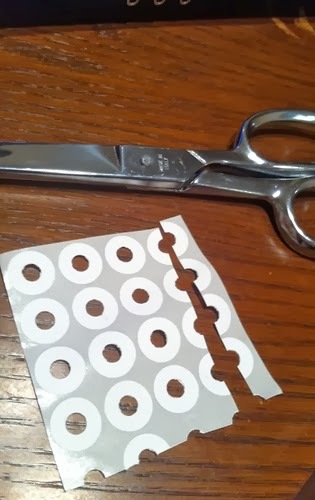 Notebook reinforcers cut in half. 3. Middle finger: first coat in golden yellow. Then using notebook hole reinforcers, cut in half and place on lower end of nail in half moon shape. Then apply dark green color over rest of nail. 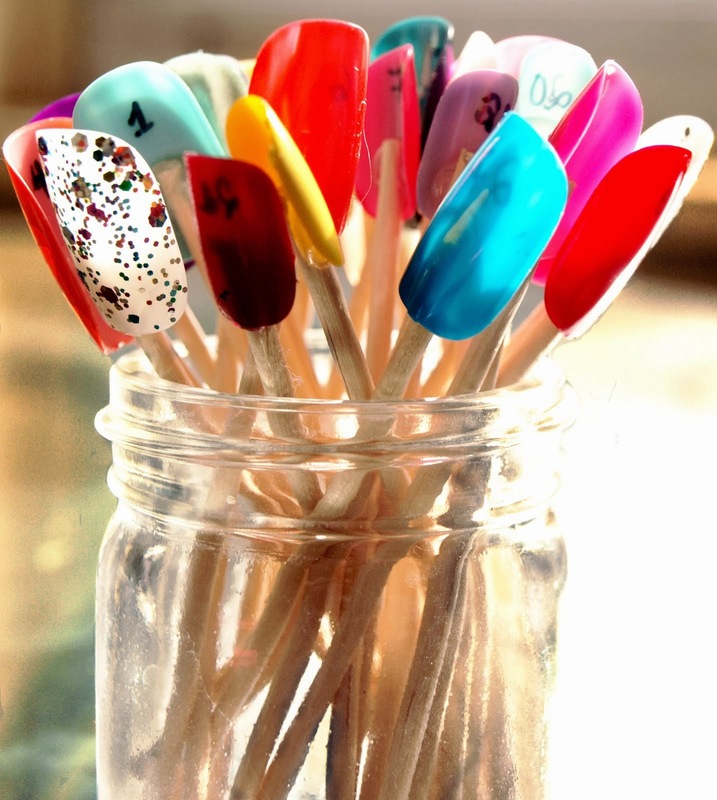 BE SURE to push down the end of the reinforcers so when applying other coat, color doesn't leak in. Now hear me out everyone. I honestly did not try to combine the green bay packers colors. UGH! Not a fan of them BUT my lovely husband pointed it out and there you have it. What a girl to do? I worked so hard with the designs and waiting time, I kept them on secretly hoping no one would notice the color combo. Enjoy! If you recreate it, please upload and show us. Experiment with techniques and have fun. Comment, reply, let me know you're following my blog. Really helps when I'm super busy and still make the effort to blog and show you my creations.